Don't look for it until well after Final Fantasy Versus XIII ships, but Square Enix design wizard Tetsuya Nomura has confirmed Kingdom Hearts III is unquestionably in queue. The news broke (courtesy IGN) by way of an interview with Nomura in the Japanese Kingdom Hearts: Birth by Sleep Ultimania Guide (for PSP) in which he references a whopping three new Kingdom Hearts games. 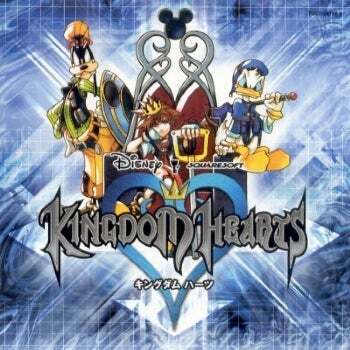 Number one we've already mentioned, Kingdom Hearts III. Nomura says development on the latter depends on his current project, Final Fantasy Versus XIII. Since no one knows when that's going to be finished (much less released) I'd be foolish to even speculate on a timeframe for Donald and Goofy's next major outing. Nomura says another title's due this year (does he mean the US version of Birth by Sleep for the PSP, which won't ship until this summer?) followed by a third in 2011...or later, depending. Apparently one of these is already in the cooker. Nomura, who got his start with the company debugging Final Fantasy IV is probably best known for designing the iconic cast of Final Fantasy VII. He's reprised that role for nearly all the Final Fantasy games (among others) since. He's currently working on an action-RPG titled Final Fantasy Versus XIII, set in the same universe as Square Enix's just-released, similarly titled blockbuster. IGN argues "the biggest news" is that the company has no plans to remake Birth By Sleep for the mainstream consoles (PS3, Xbox 360) along the lines of the Chain of Memories PS2 remake of the Game Boy Advance original. I'm not sure what's really newsworthy there. Porting from a low-end handheld to a high-end console makes sense, but since the PSP 's already a high-end handheld, I'm not sure what the point of slapping a layer of gloss on a PS3 or Xbox 360 version would offer, considering the exponential development costs incurred in the transition.